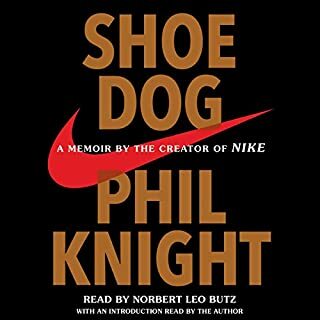 Phil Knight is almost as good at writing as he is at making shoes (almost). His is a tale of entrepreneurship, running, and life. It was amazing to hear how humbly his shoe empire started and affirmed that luck certainly plays a part in success. On multiple occasions, I wondered how he would get out of a predicament the company faced, even though I knew the eventual outcome. Ironically, I listened to this over the course of several long runs (no, not in Nikes), and it kept me entertained for every mile. 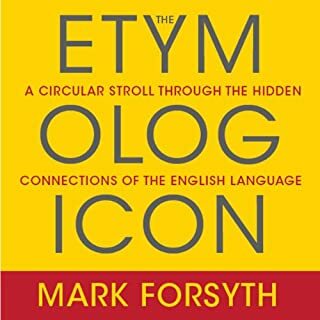 The Etymologicon is a completely unauthorized guide to the strange underpinnings of the English language. It explains: How you get from “gruntled” to “disgruntled”; why you are absolutely right to believe that your meager salary barely covers “money for salt”; how the biggest chain of coffee shops in the world (hint: Seattle) connects to whaling in Nantucket; and what precisely the Rolling Stones have to do with gardening. This book is an incredibly fun ride through words. I purchased this as the second part of a 2-for-1 sale and figured I would listen to an hour and return if I didn't like it. I was laughing out loud in the first 10 minutes! I was hooked. I'll be giving this book as a gift to my reading friends. The writing is excellent, and the deadpan narration (I have no idea how he could read parts without laughing hysterically) adds to the humor. Buy this book now! You won't regret it. From the dark days of World War II through the Cold War, Sergey A. Kondrashev was a major player in Russia’s notorious KGB espionage apparatus. Rising through its ranks through hard work and keen understanding of how the spy and political games are played, he “handled” American and British defectors, recruited Western operatives as double agents, served as a ranking officer at the East Berlin and Vienna KGB bureaus, and tackled special assignments from the Kremlin. I really wanted to like this, and I feel like there was potential here, however I struggled to keep slogging through. Not a ton of intrigue as you'd expect from a spy thriller. This would no doubt make an entertaining mini-series or dramatized documentary. Unfortunately, it didn't play well in audio format, in my opinion. A must read for any leader regardless of the size of the organization they lead. Admittedly, I was skeptical as the book began. While entertained by the multitude of short stories and vignettes used to illustrate various points, it was not readily apparent how the "dots connected". The second half of the book ties it all together. 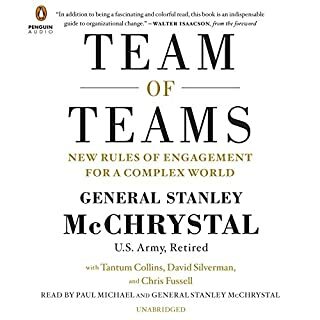 More than just a recipe for organizational success, General McChrystal demonstrates the effectiveness of leading by example and trusting your subordinates to work within a clear intent. I've already recommended this to multiple leaders within my organizations. As a nice touch, General McChrystal narrates the key points at the end of each chapter, adding extra emphasis literally in his own words. Five stars +!! Duty is the third SecDef autobiography I've listened to in the last year, Cheney's and Rumsfeld's being the other two. Duty would place 2nd among the three. The book is well-written, and Gates is candid in his assessments of both Presidents and their relationship with DoD and military leaders. His love for the troops was clearly the central theme of his tenure. 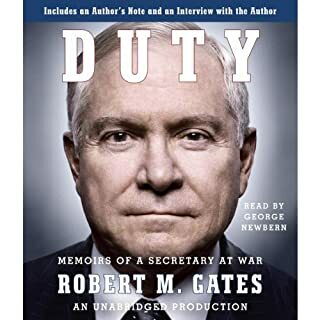 While the narrator was very good, I would have preferred that Gates narrated the book himself as Rumsfeld did. Literally hearing Rumsfeld speak the words added greatly to the story, and he was able to add emphasis when needed. I feel a bit was lost in Gates not doing the same. Overall, a worthwhile listen. I Hope You Are Wearing a Seatbelt..
Not because of the pace of the book, but because of the impending crash that is looming in the not-too-distant horizon. 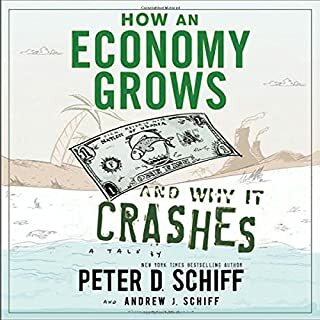 Many reviewers have lamented that Schiff's witty story/text is too basic. I would agree on the point that it is basic, but surprisingly few seem to truly understand the content as the American public has elected economically ignorant government representatives for the past century or more. This book is witty (who knows how long it took them to come up with all of the fish-related names) and logical. I would use it if I taught a middle school or early high school economics class with the hope that it would sink in that our country...uh, I mean Usonia, is in DEEP trouble. A bit corny, pleasantly entertaining, and a good refresher. I hope more will listen and take the message to heart. A life-changing guide to achieving your goals, by the 2013 NCAA champion college basketball coach and #1 New York Times bestselling author. 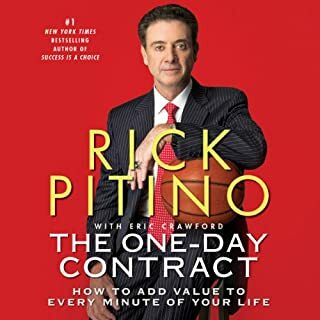 Rick Pitino is famous as one of the most dynamic and successful basketball coaches of our time, leading the University of Louisville Cardinals to the NCAA basketball championship in 2013, and is renowned for writing the #1 New York Times best-selling success and leadership book, Success is a Choice. Most could benefit from signing a one-day contract with themselves. I know I can. This book is a fun listen with many anecdotes from Rick Pitino's storied coaching career. Even though I'm not a basketball fan, I enjoyed his retelling of exciting and disappointing times in the game. While the lessons in the book may not be the easiest to implement, I was motivated to relook aspects of my professional life. Unfortunately, the performance detracts a bit from the book. It's possible that Peter Berkrot is trying to emulate the voice of Pitino, but often the cadence and tone sound forced with misplaced emphases. It's also difficult to ignore his pronunciation of John Wooden (like WOO-hoo). What a masterpiece. 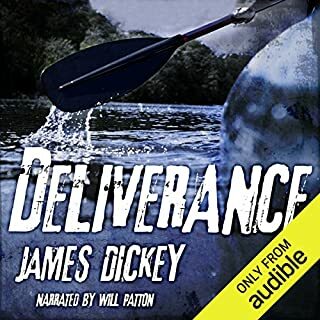 I typically read/listen to non-fiction history or business books, but took a respite based on the outstanding reviews of Deliverance. Like many, I have seen the movie multiple times, but never read the book. It is FAR better than the movie. The descriptions of the trek down the river put you right in the canoe through every set of rapids and up the gorge wall. And to top it off, Will Patton's performance is possibly the best I've heard on an audio book. A homerun! Time well-spent listening to this great piece of literature. 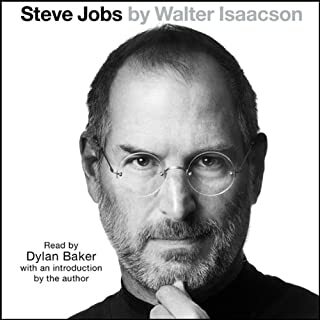 Walter Isaacson does a masterful job of capturing Steve Jobs the person, not just Steve Jobs the CEO of Apple. I thoroughly enjoyed learning the lesser-known stories surrounding this American icon. From the description of Job's personal relationships with his family and friends, the detailed recounting of his oft-odd eating habits, to his views on design, this is a well-researched book that flows well. 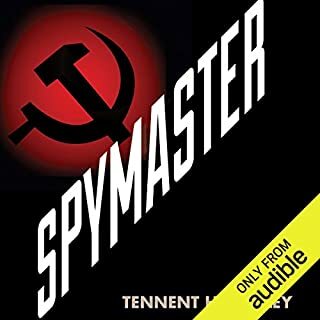 The unfortunate part is that I nearly gave in after the first hour when the narrator's misplaced emphases and fingernails-on-the-chalkboard cadence brought me to my listening knees. Luckily, the story was so compelling that I stuck it out and by mid-way had learned to tolerate the annoyance. Either the narrator warmed up toward the end or I became numb, and I actually started to enjoy the narration toward the end. Possibly a Stockholm Syndrome effect. Overall, well worth the listen. I'm not a big tech geek and not a faithful follower of Jobs or Apple, but this was an interesting bio that I've already recommended to colleagues and friends. An interesting glimpse into the life of a powerful figure during a trying time for our nation. 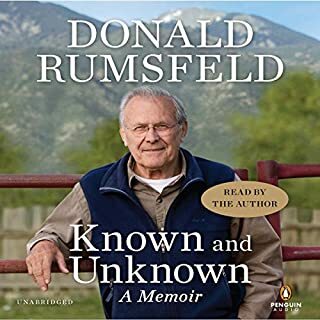 I was a part of DoD during the Rumsfeld years (much lower on the totem pole) so had some understanding of Rumsfeld's background. This memoir filled in the gaps. Though he spends a good amount of time pointing fingers at other agencies and organizations, I enjoyed the frank commentary on the major events of his tenure as Secretary of Defense and also earlier in his political career. Whether you agree with his decisions or not, it's hard to come away from the book without appreciating his public service. Narrating himself was a huge plus. I wish more autobiographies were read by their authors. It was a nice touch that only added to the enjoyment.